By hydrolyzing the protein in this premium formula we've created our fastest-acting whey protein yet. * Hydrolyzing breaks larger proteins down into smaller pieces that are able to get into your system rapidly, enabling your muscles to start rebuilding quickly. * For added effectiveness, we've also enhanced this revolutionary formula with ACTITOR peptides, digestive enzymes and micronized branched chain amino acids (BCAAs). In addition to being fast, Platinum Hydrowhey is also ultra-pure. * That's because it's made entirely with hydrolyzed whey protein isolates. So there's no excess fat, cholesterol, or lactose to slow down your progress. Knowledge is power, and Tony Litton is one powerful athlete. Score his training strategies, supplement philosophy, and learn the science behind his favorite Optimum products. You want true strength? It's ON. For NPC Figure competitor Jen Delgado, intense training is everything. Learn why no one should fear lifting weights, how to train for explosive results, and check out Jen's first-rate, fully-loaded supplement stack. It's ON. Don’t get get strawberry tbh... its okay. I thought it was going to be amazing considering I’ve had both chocolate flavors but this one for some reason creates more bubbles she shook? And honestly, wouldn’t get this flavor again. Overall my go to protein!! Great flavor and it mixes really well. ONPH mixes well and doesn’t leave any clumps. It tastes great and is smooth once it’s all mixed. As far as seeing results, it helps maintain muscle growth and helps heal the soreness in just a few hours. 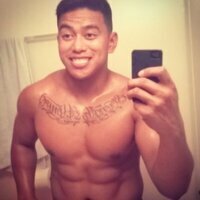 Even when I don’t workout for a few days, I still maintain muscle density. This product digests well and doesn’t leave me gassy like other proteins, we’re all different so, this may be just for me. This s my post workout go-to protein. For pre-workout, it’s old school; one banana with natural peanut butter and 4 hard boiled eggs. 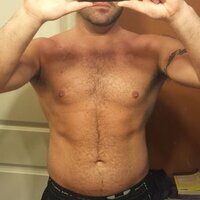 I’m 48 years young and have to maintain muscle fibers at this age and ONPH does it for me. I’ve been taking this now for the past 6 years and don’t have any plans changing now. Thanks for a terrific product ON! I use this for my post workout concoction. It blends very easy and is not clumpy. Taste is good and is easy to drink. It also easily blends with oatmeal unlike some other powders. Have had great results and this is a staple for me. I've been using this protein for the past 2 months. Although I have never been as committed to the gym and my health as now I can definitely see the significant improvement on my muscle definition and growth. I know a big part of this is my diet but I can also see how much the protein affects, this supplies me with the right amount of protein that I need per day and to be honest the taste is absolutely delicious. I drink it with fat free milk because it gives me all the smoothie vibes and it's very tasty. Most other proteins I've tried before leave this lingering aftertaste that I really dislike, also the tastes were not what I expected. This particular chocolate one is absolutely delicious. I recommend 100%. Great product!! So far, this is the whey protein that I've tolerated the best. I am lactose intolerant and VERY sensitive to even small amounts. I've had no issues with this protein and my recovery time is much quicker between workouts. The taste is great and it mixes extremely well in both water and almond milk. 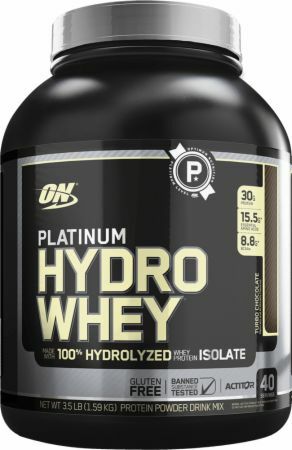 I decided to switch up from Gold Standard Whey after not taking any protein for about a year, and I went with this Platinum Hydrowhey. This is by far my favorite protein powder that I've taken so far. It mixes easily in water and milk. I've mainly taken my shakes with Darigold 2% reduced fat milk, and the flavor is excellent with a light consistency. Best of all, I haven't had any issues with stomach aches or lactose intolerance like I had sometimes with Gold Standard. I've felt less sore after my workouts and my recovery time seems to be noticeably reduced compared to prior use. It's a little more expensive per serving than some of the other proteins out there, but I'd highly recommend it and say it's worth it! Better than all of the rest when it comes to ingredients and macros but has a heavy flavor which is not my thing. Great taste, reasonably priced. ON Protein is literally the gold standard. That being said, this product is NOT lactose free, is LOW Lactose is not ZERO Lactose and product contains MILK. Somewhat misleading info on this (and similiar) products. Platinum HYDROWHEY® is INSTANTIZED, so it mixes up completely and easily. Add 1 scoop of Platinum Hydrowhey® to a blender, shaker cup, or glass filled with 10-12 fl oz of cold water, milk, or juice and blend, shake, or stir for 20-30 seconds or until powder is dissolved. TIP: Use faster-acting Platinum HYDROWHEY during the day and more slow-digesting GOLD STANDARD 100% CASEIN™ at night or in between meals for around the clock amino coverage. Stack Your Shake: By adding dietary supplements including creatine, BCAA, and carbohydrate powders. Learn more about Hydrolyzed Whey Protein.